This gorgeous solid wood clock is based on an original 14th century design and unlike modern clocks displays only a single hour hand. 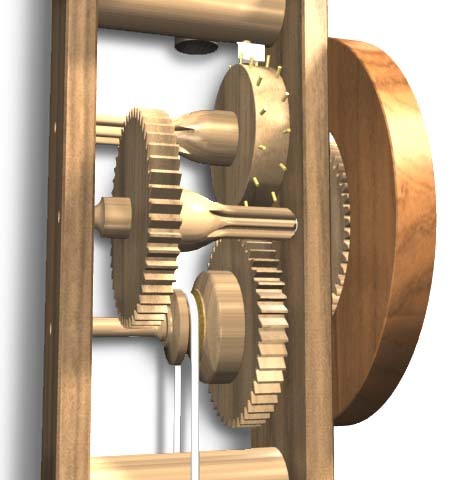 Driven by gravity it incorporates a unique "verge and foliot" escapement mechanism for accurate time keeping. With the exception of the weights, bearings and pull cord, it is made entirely out of beautifully grained hard woods. 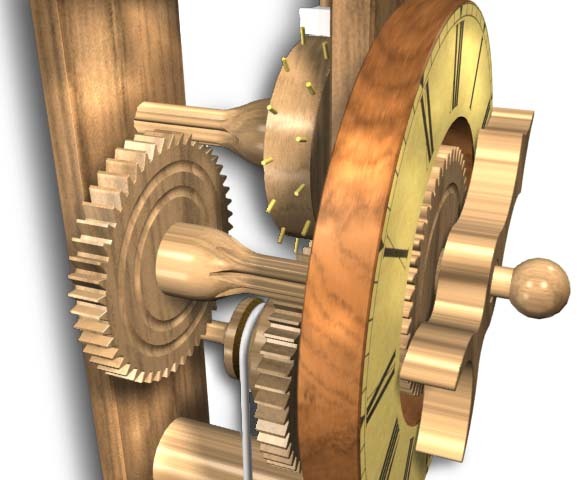 Large, clear assembly illustrations along with easy to follow, step by step written instructions (see side menu) ensures that anybody can build one of these beautiful clocks. A perfect gift for a special occasion, wedding, anniversary, birthday or retirement at an amazing price. This conversation piece will be treasured for many, many years by the all family. A perfect gift for all ages.